So Cute!!! Would LOVE to win. You’re being super generous this holiday season! ALWAYS follow you on Facebook!!! Love the store, spend WAY too much time and money there, could really use the gift card. Thanks! I <3 Target and Totally Target!! So thank you for all the great deals you pass on all year long! I already like TT on FB. Check it often. just in time for xmas!!!! Thanks for another AWESOME giveaway! I like you on facebook! Thanks for the giveaway! this would be such a help thank you and Merry Christmas!!! I not only “Like” u on FB… but I <3 LOVE u on FB!!!! What a cute card! I would love to win! neat! I like it! Thanks ! I could so use this Gift Card. 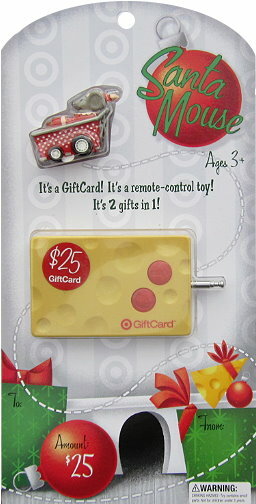 That gift card is too cute! Target has the best giftcard! I love you on Facebook, not just like you. Thank you!!!! and Happy Holidays!! Thank-you for another great giveaway. HAPPY HOLIDAYS to you and your family.